It is our honor to facilitate more than 34,000,000 onsite, phone, and video interactions every year. That’s a new human connection every second. 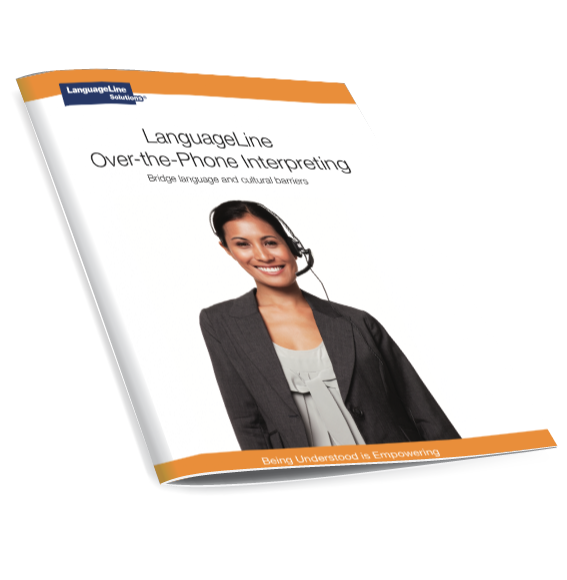 LanguageLine Phone Interpreting provides on-demand, fast access to our professional interpreters, 24/7/365, in over 240 languages. Do business and communicate with more than 25 million Limited English Proficient people in the U.S.
Find out how you can secure a direct connection to the best linguists in the world and open the lines of communication for your organization.